Having an overall positive outlook on life and love can help you create better relationships, both romantic and platonic, and give you an advantage within your career and life. 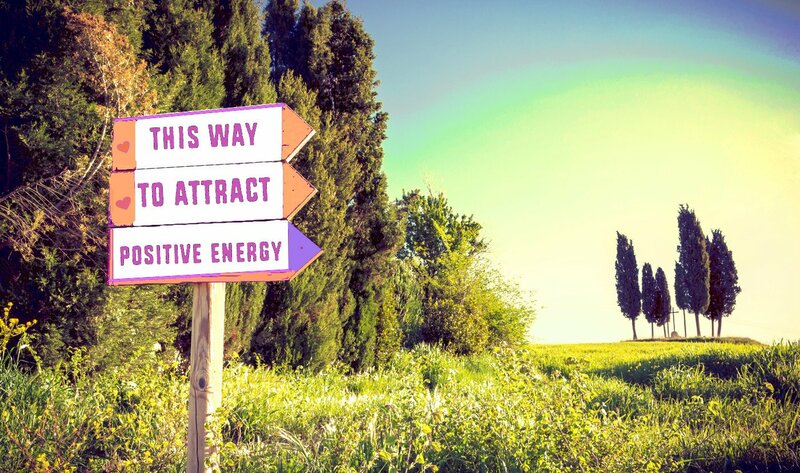 Sometimes, however, attracting love and positivity into your life can prove to be a challenge. Life and negative vibes get in the way and make it difficult to see the positive side of things. But there are plenty of ways to help you turn that negativity into positivity. With these simple to follow tips, you’ll be well on your way to attracting plenty of positivity and love in your life. If you have friends or family members who are constantly dragging you down with their negativity, it’s time to say goodbye. You can either limit your contact with them or cut them off completely. The decision is up to you, however, once you let go of the negative people in your life, letting the positivity in will be a welcome change. Focusing on negative thoughts is only going to block any chance of letting the positive ones in. So, it’s time to fill your head with positive thoughts instead. Open yourself up to positive affirmations or mantras and get into the habit of repeating them to yourself or even out loud daily. This will help you keep positive thoughts present and block the negativity from creeping back in. Everyone does better in life when they have the positive support of others around them. So, when it comes to attracting more love and positivity, surround yourself with a network of people who will encourage you and help your positivity thrive. This is especially true when it comes to wanting to attract more love to your life. This means it’s time to get out of the house and let yourself shine. Don’t be afraid to meet new people as well as hang out with those in your positivity support network. In doing so, you’re putting yourself out there and making yourself more available to love and positive vibes. One of the best ways to attract more positivity in your life is to be grateful. Whether it’s for the simplest things or something much bigger that has affected your life in a positive way, give thanks for it. In giving thanks and being grateful, you’ll be opening up even more opportunities for positivity and love to enter your life. If you’re focused on pursuing a goal you have, there will be less time for negativity in your life. You’ll be too busy thinking positive thoughts as you think ahead to actually meeting your goals, that you’ll find negative thoughts will become less and less. And when you finally reach one of your goals…there’s nothing more positive and satisfying than that! With such easy access to news and social media these days, it’s not hard to get caught up in all of the negative stories and commentary that’s out there. So, if you’re feeling like that negativity is getting the best of you, consider taking a break from all things news and social media. Instead, get outside and enjoy a walk in nature or do a week of positive affirmation meditations. Don’t allow yourself to get sucked into the negative news and social media vortex. Instead, know when it’s time to unplug and let in more positive vibes. No matter what you’re looking to receive more of in life it’s important to give those things to others in return. So, if you’re looking to attract more love, then be more loving to those around you. If you want to feel more grateful, practice daily gratitude and express it in your daily affirmations. If you want to attract more positivity, then be a positive light in someone’s life. The bottom line here is to put out into the universe that which you which to receive yourself, resulting in a much better chance of attracting plenty of positivity and love in return.